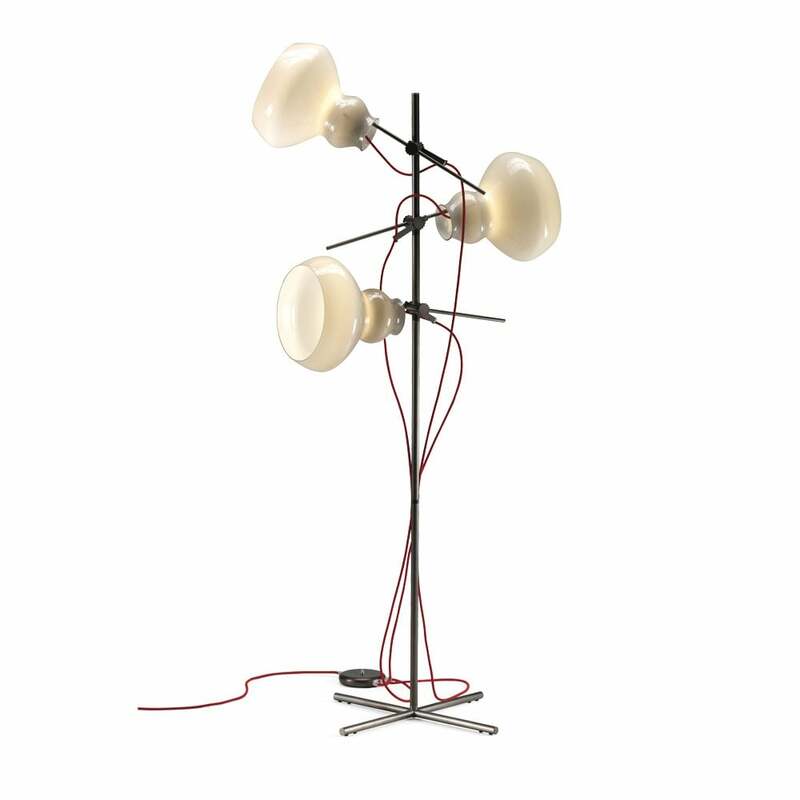 Designed by Gino Carollo, the Blob floor lamp is a fun piece with a retro feel. It has a metal structure, glass lampshade and cable all available in a choice of finishes. Lamp holder E27, bulb 23W. Priced for micaceous brown structure. Glass: bronze or grey outside and white inside. Cable available in red and grey.